Whether its a family function, the office party or a Christmas reward for your group, Holding a Christmas party is a great way to thank those that have supported you throughout the year. We play Christmas music mixed between your party classics. With playlists and requests available alongside the Adult Disco. With our DJ, The Sky’s the limit! Increasingly popular as each fall passes. Halloween is bang on trend! We’ll dress our equipment to look the part and play those halloween classics. Just bring the ghosts, monsters and zombies! 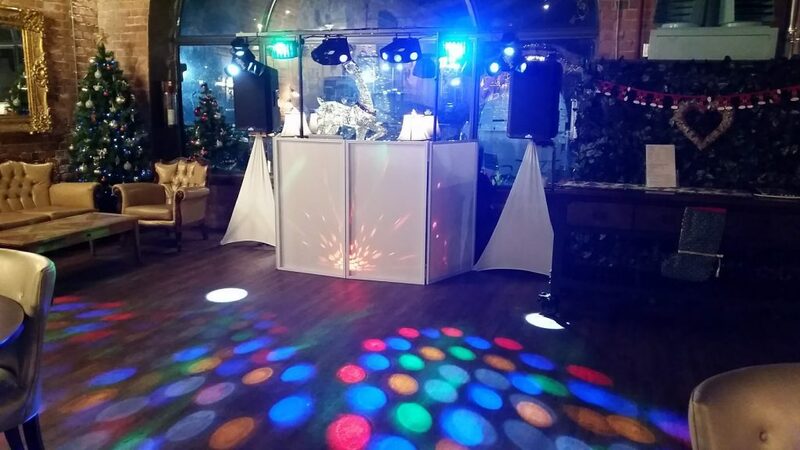 Like all adult parties, we provide the full Disco. The DJ will choose music based on the age demographic with song requests and the mood of the dance floor influencing the direction. 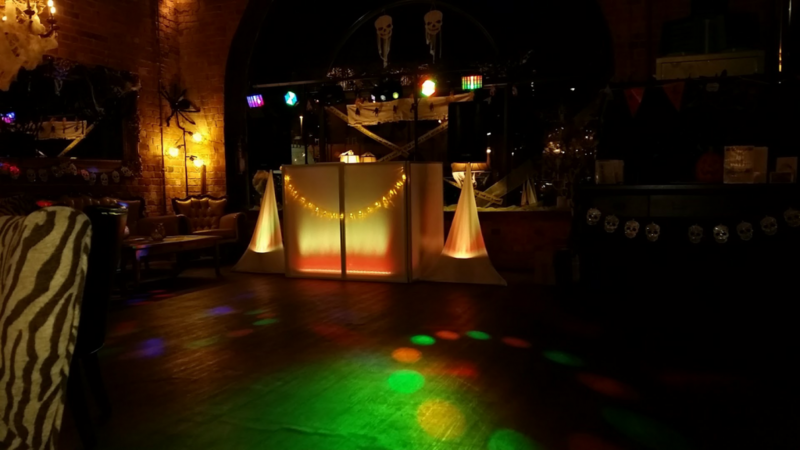 The DJ may even include songs that were popular at the time of marriage including the couples first dance all those years ago! Whatever the decade your celebrating or looking back on with rose tinted glass… We have the music to bring back the nostalgia! Decade themed events are increasingly popular for Adult birthday parties. The music may be influenced by that decade with a mix of other music or strictly from the celebrated years. With fancy dress and a DJ exploring all artists from the 10 year period, Everyone is sure to have a great time! Decade themed parties are essentially Adult Birthday Parties with fancy dress and a focus on music from a specific time period. Christenings celebrate the entry into a religion or belief. Families unite together and enjoy themselves. Typically but not in all cases, Christenings are held during the day and music is a great way to add warmth to the celebratory atmosphere while guests eat and socialise. Your DJ will play music for all the family, taking requests and entertaining. Some christening celebrations include child party games, although this does depend on your specific requirements. ‘Disco Lighting’ is not always required due to the time of day however this is always available. Funeral wakes celebrate the life of a loved one. Families unite to remember dearly departed. Much like christenings, A wake is a social gathering. Family and friends share stories and remember times past. With food, drink and carefully chosen music, the atmosphere need not me sombre but one to enjoy in the company of loved ones. Our funeral wake service is available with or without “Disco Lighting” depending on your requests. With decorum and respect, we will work with your specific requirements to ensure the wake is exactly as planned. Planning something not listed above? 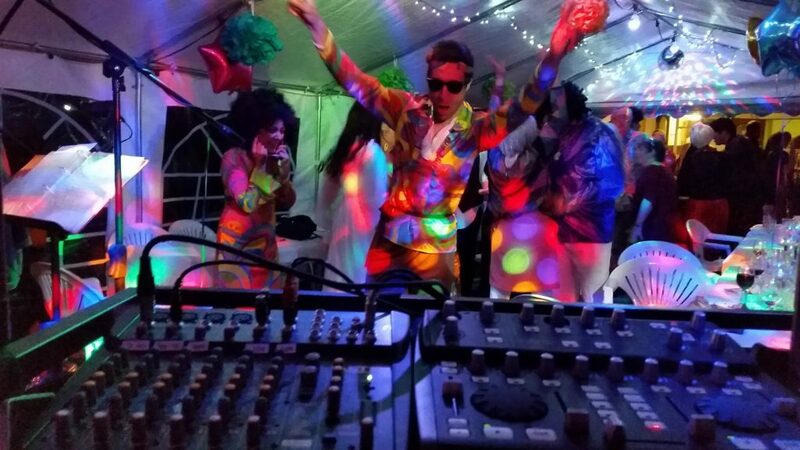 If your event requires music and a Professional DJ to lead your event then look no further. Facebook, Trust Pilot, Google and Bridebook.